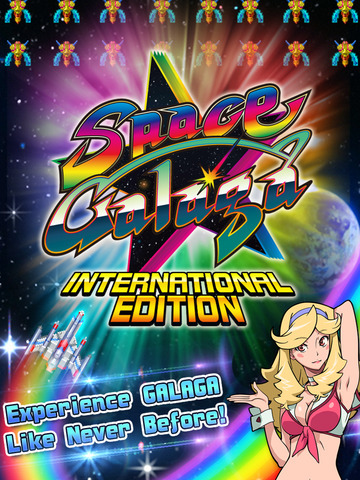 Space Galaga International edition par BANDAI NAMCO Entertainment Inc. 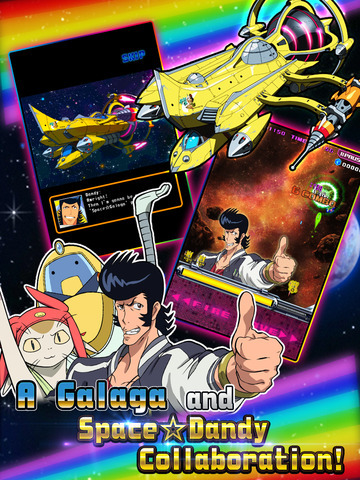 Par BANDAI NAMCO Entertainment Inc.
An unbelievable crossover between the popular anime Space Dandy and the classic game Galaga! 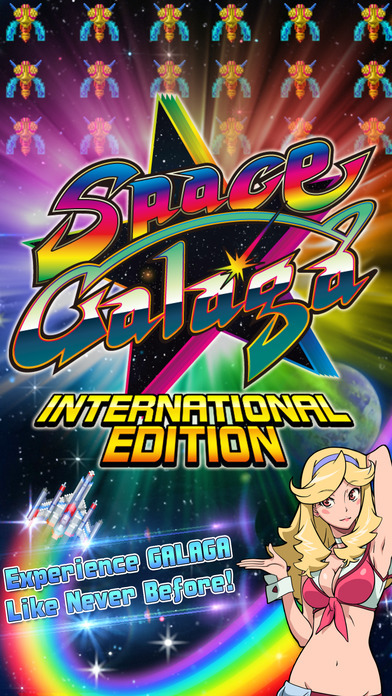 Now begins the rise of Space Galaga! 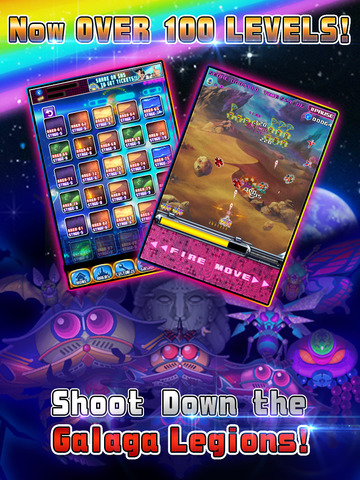 We hope you enjoy this true shoot 'em up game that can be enjoyed casually with simple controls using only one finger! 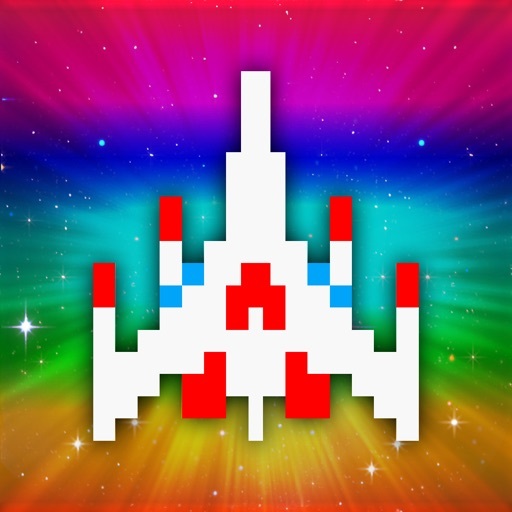 Anyone can enjoy a true shoot 'em up game experience with the simple controls of Space Galaga. You've just got to try this new generation shoot 'em up game that anyone can enjoy, from shmup masters to brand new players of the genre! 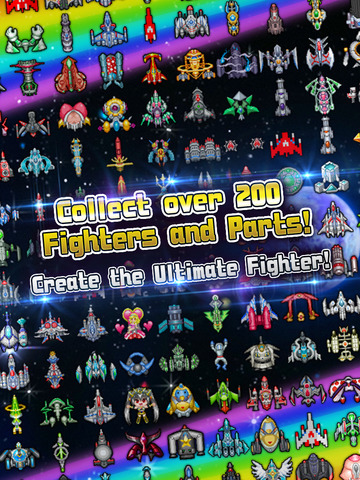 This brand new Galaga game includes systems from the hack-and-slash genre where you can obtain powerful fighters or parts by clearing stages. 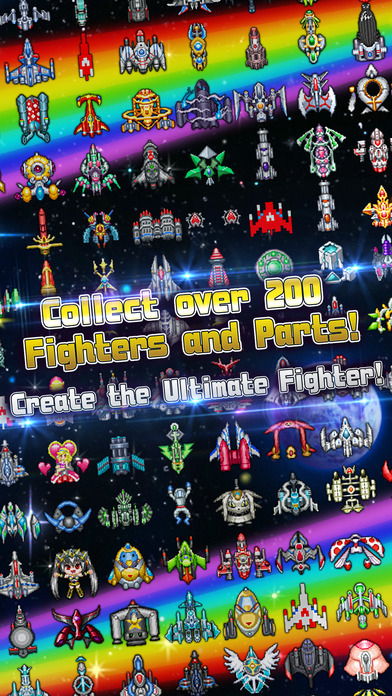 Make your very own custom fighter from the zillions of different combinations! 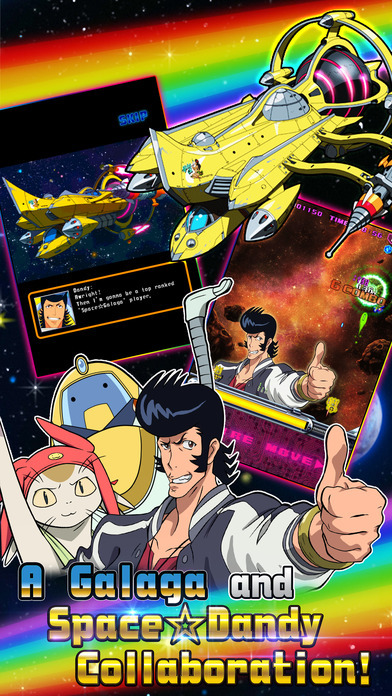 We've added tons of parts and fighters based on the Space Dandy anime, as well as scenarios where you can enjoy new stories with the characters of Space Dandy!